A few weeks ago, we accompanied Peter Bauer on the successful relaunch of his shop Pally’Hi. Originally based on Shopware 4, the shop for Merino wool apparel was revamped with a new optical and technical finish to offer customers an even more perfect shopping experience. With features like Shopping Worlds, optimized operation and cleaner technology, Shopware 5.2 offers the perfect prerequisites so that Peter, his team and partner dasistweb could launch an impressive shop. But there wasn’t too much time to celebrate after Pally’Hi went live, since the team immediately went to work on their next project launch: Amplid. 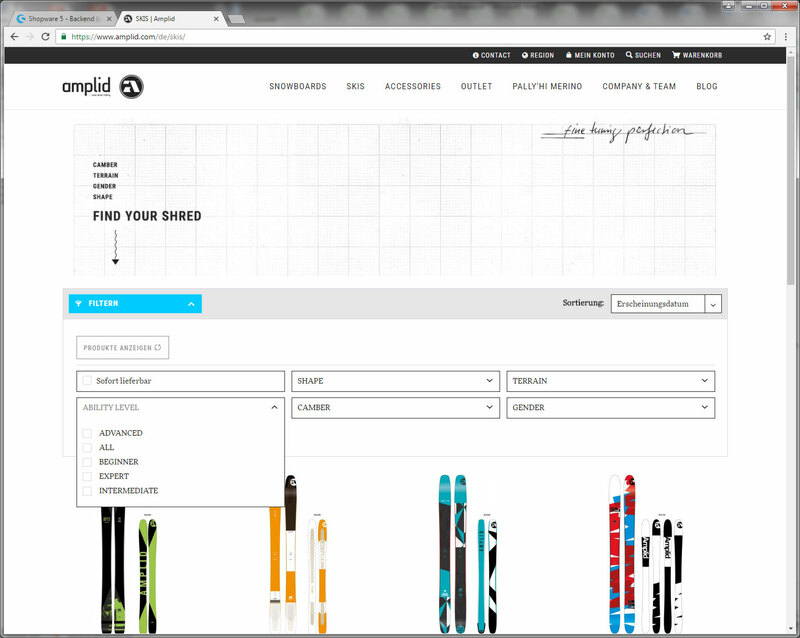 The board sports brand previously used Shopware 4 as a basis and has since updated to Shopware 5.2. The team saves even more time from the fact that both Amplid and Pally’Hi are controlled from one central backend. “Both shops now have three language shops and six customer groups, allowing us to easily create individual shopping experiences for our various target groups,” Peter adds. 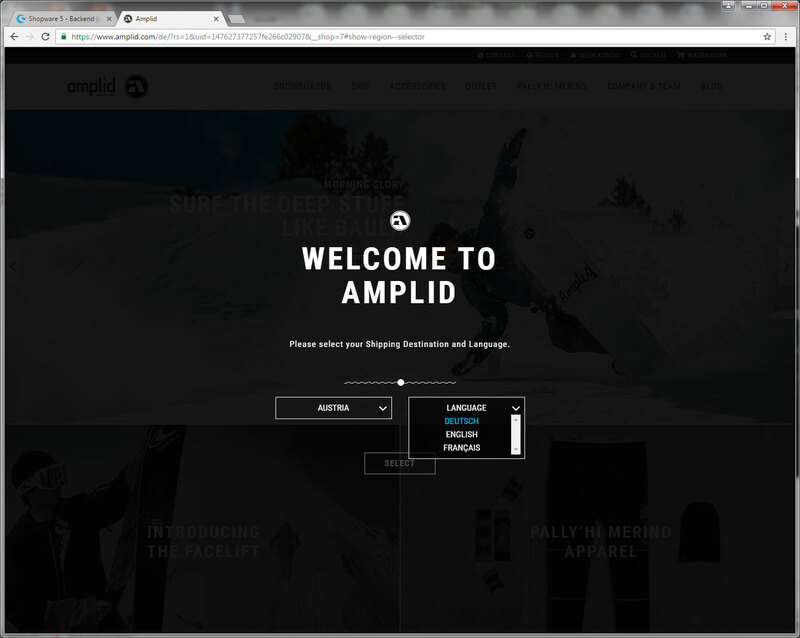 Learn more about the Amplid shop, its particular requirements and which Premium Plugins got the job done in our exclusive interview with Peter Bauer. 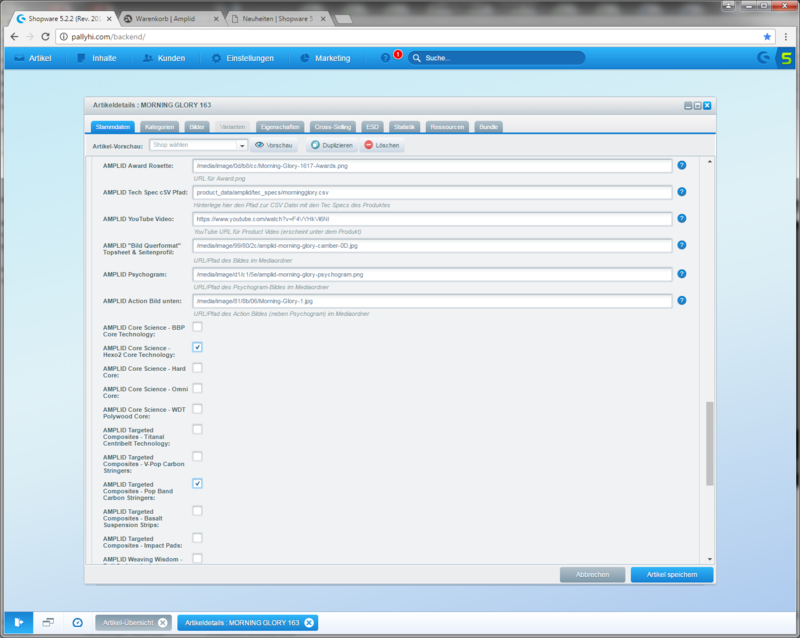 What are some advantages of relaunching with Shopware 5.2? 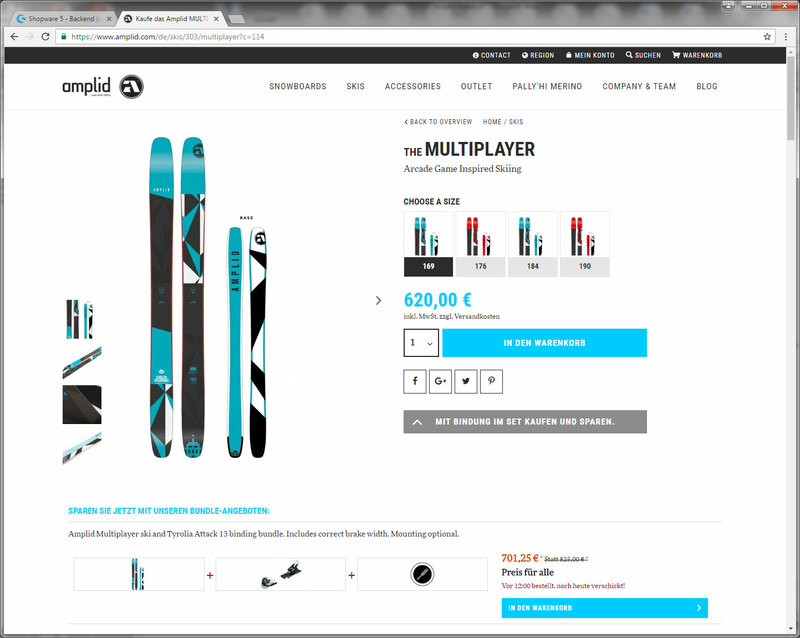 Responsive played a huge role for the relaunch, since the former shop wasn’t performing perfectly on mobile devices. 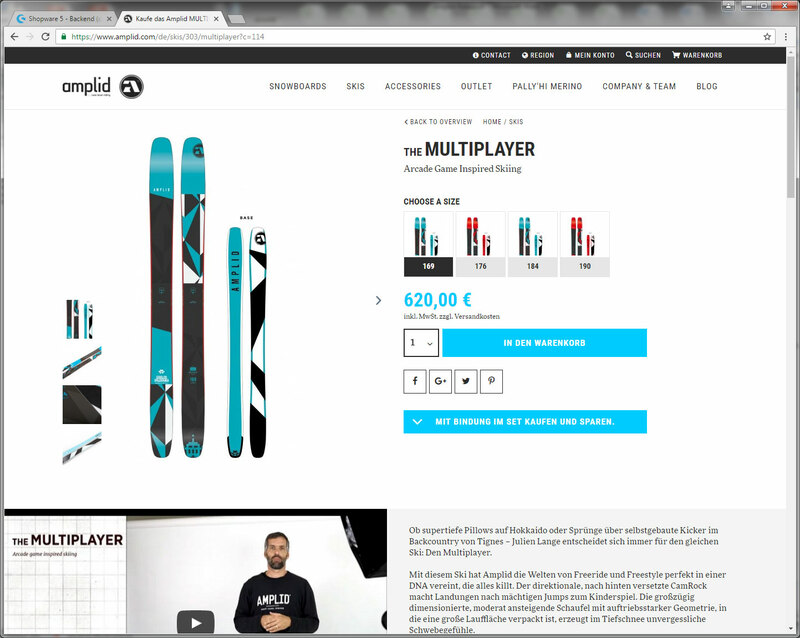 Even if a snowboard for 500€ is not necessarily purchased on a smartphone, it was important that customer can browse for this snowboard at all times – on the bus to work, with their friends over coffee, etc. It’s also easier than ever to change content and work with Shopping Worlds. Everything runs so much faster. And the visual editor was key so that we could play around with banner size in a live preview for every end device. We also really took advantage of the fact that subshops are integrated for no cost whatsoever. Of course, we saved a good amount of money, but subshops are also crucial for offering more tailored shopping experiences for particular customer groups. Please say a bit more about your six different customer groups – how varied are they? After we worked in different countries with various currencies and price lists, the solution to work with customer groups was ideal. So for example, in the Unites States we sell only using USD prices – and likewise in the UK where we sell in GBP – so these make up separate custom groups. Prices work a bit different for our European customers, where customer groups are organized by country, and each country has their own specific product prices. 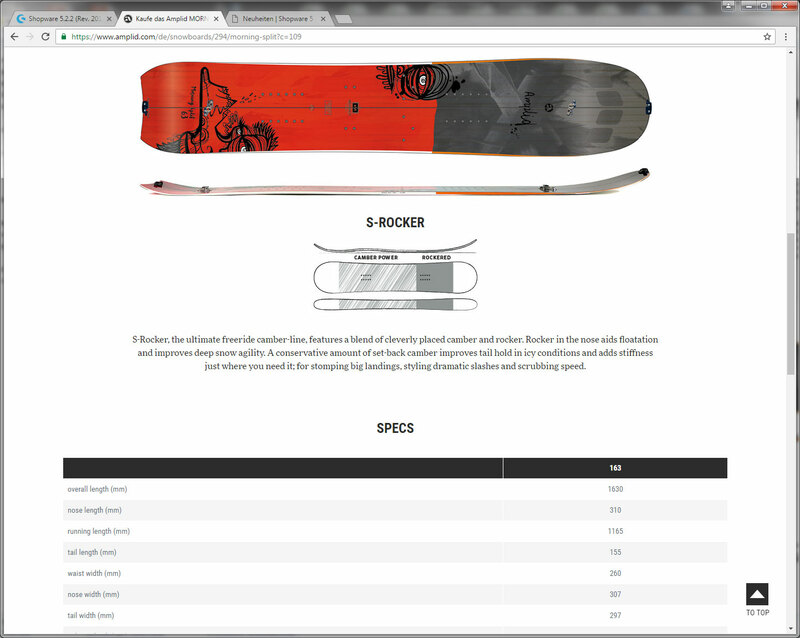 For Teamrider and Opinionleader we have a separate performance shop under a different subdomain, where there are no premium items and the shipping costs are a bit higher. In addition, the product descriptions are available in three different languages: German, English and French. .
How do you ensure that every visitor finds their way to the right customer group and language shop? We built a very elegant “Region selector”, which appears as a popup when the visitor reaches the shop’s landing page. Here they can select their delivery country and language. Behind-the-scenes, a cookie remembers their selection and links these two parameters to a customer group. Unless the visitor clears their cache, the cookie will remember their preferences for a total of 120 days. How were you able to gracefully hide the Bundles plugin? Are you using any other Premium Plugins to enhance the new shop? We’ve already prepared a “2+1” campaign in the backend using Advanced Promotion Suite, which is ideal for beanies of smaller products. We’re also going to use the discount feature, but this has to wait until we launch our spring sale. Now we just need some snow! We’re also going to be using Shopping Advisor in order to take our customers by the hand through selecting their perfect product. Essentially we will ask them a series of questions, and based on their response guide them to the product that best meets their requirements. But this project will come a bit later down the line, because at the moment we’re rather busy maintaining our filter properties for the products so that eventually our SHREDFINDER can take over. dasistweb conclusion: "Shopware is one of the most versatile solutions on the market"
“With the Amplid shop, we are extremely proud to have successfully mastered our fourth customer relaunch (and the third with Shopware). The frontend and backend are more comfortable and technologically cleaner than ever before. With Shopware 5.2, the ease developing individual adjustments to meet the customer requirements was a huge indicator of where the software is headed. With the addition of numerous new features and simplified management option in Shopping Worlds, a lot of value was added in terms of website design and launching effective marketing measures. Shopware is now even more distinct from the competition and becoming one of the most versatile eCommerce solutions on the market. One thing is clear: not only are our developers and clients sold on Shopware, but the end customers definitely have a good time shopping using the system. We want to congratulate Peter, his team and dasistweb on the spectacular relaunch and thank them for sharing such a detailed look into their exciting project relaunch!